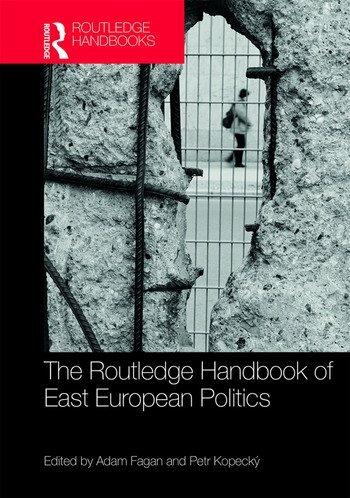 The Routledge Handbook of East European Politics is an authoritative overview that will help a wide readership develop an understanding of the region in all its political, economic, and social complexity. Including Central Europe, the Baltic republics, South Eastern Europe, and the Western Balkans, as well as all the countries of the former Soviet Union, it is unrivalled in breadth and depth, affording a comprehensive overview of Eastern European politics provided by leading experts in the fields of comparative politics, international relations, and public administration. Through a series of cutting-edge articles, it seeks to explain and understand patterns of Eastern European politics today. The Routledge Handbook of East European Politics will be a key reference point both for advanced-level students developing knowledge about the subject, researchers producing new material in the area, and those interested and working in the fields of East European Politics, Russian Politics, EU Politics, and more broadly in European Politics, Comparative Politics, Democratization Studies, and International Relations. Adam Fagan is Professor of European Politics and Head of the School of Politics and International Relations at Queen Mary University of London, UK. His previous works include Europeanization of the Western Balkans (2015) and Europe’s Balkan Dilemma (2010). He is also the co-editor of the journal East European Politics. Petr Kopecký is Professor of Political Science and Director of Central and East European Studies Center at Leiden University, the Netherlands. His research has published in, among others, the European Journal of Political Research, European Union Politics, Party Politics, Political Studies, and West European Politics. He is also the co-editor of the journal East European Politics.